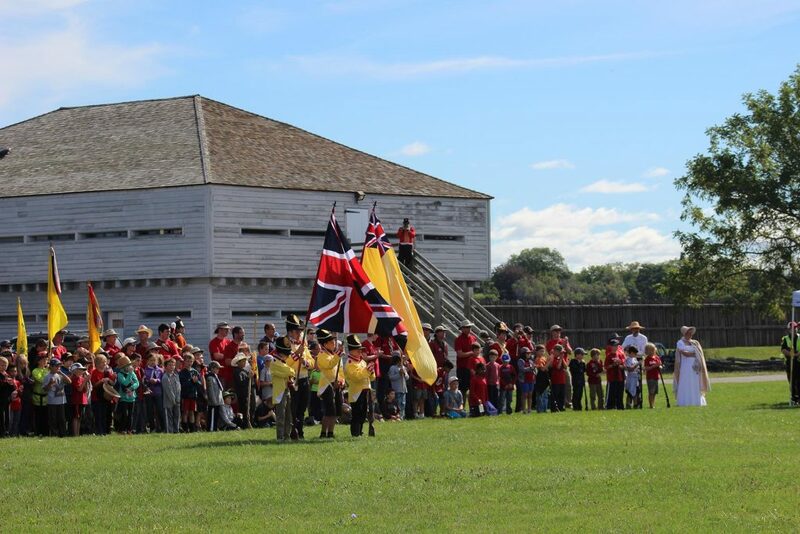 Welcome to the Junior Brigade of Fort George! 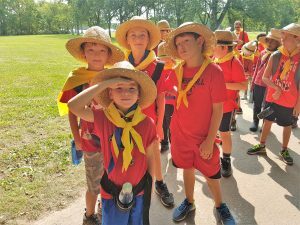 We may be small Cub Scouts but we are a mighty Junior Brigade! 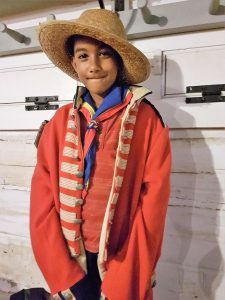 This is a living history camp, so we too can play the part. 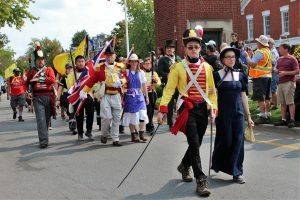 We camp and play as one Regiment, but are actually 2; The Canadian Fencible Regiment and our U.S. West Point Academy. 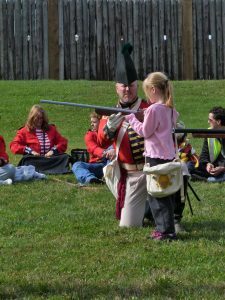 We are often just called the Fencibles. 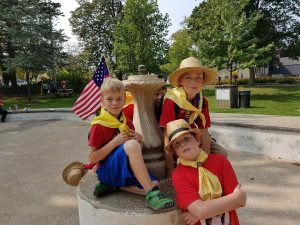 The Cub scout program changes themes each year. 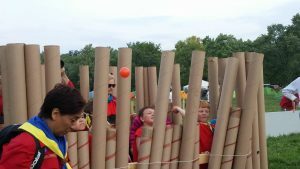 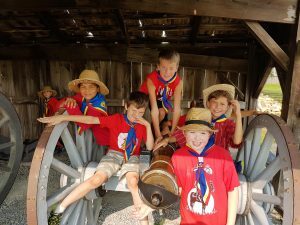 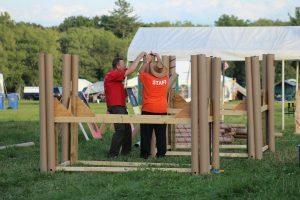 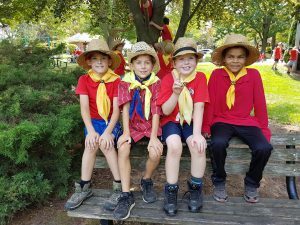 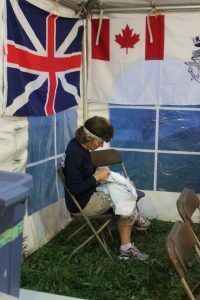 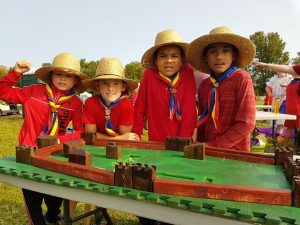 For the past few years cubs have done hands-on activities such as crafts, candy making, lantern making, naval ship to ship battles, cannon races and cub-style fort building. 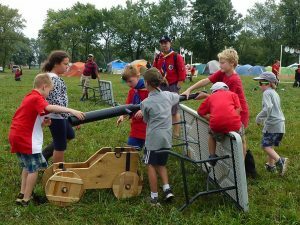 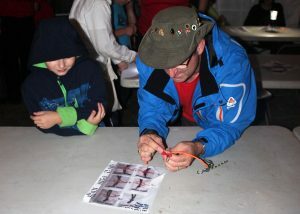 The Cub Scouts have a busy weekend camping in the same field as the older youth and see what they are doing. 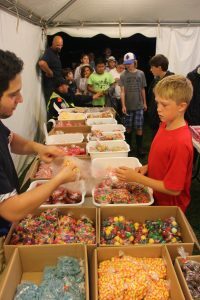 A great linking event for all 3 sections! 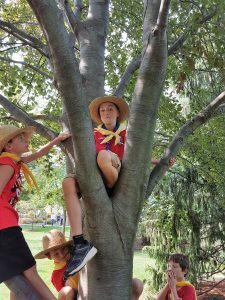 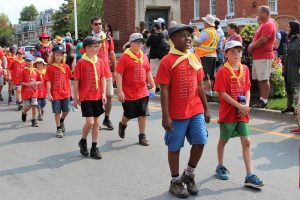 Saturday: morning activities, picnic lunch in town, watch and join the Parade, tour of the Fort, afternoon activities, and then more Fun evening events with everyone at camp. 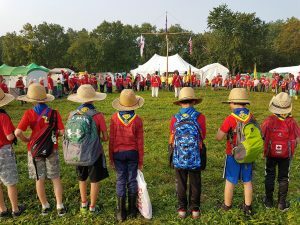 Sunday: morning activities and closing ceremonies with the whole camp.